Playbrush is a smart subscription company digitalising the Oral Care sector. We have developed the Playbrush, a smart toothbrush, which turns brushing teeth into games. While kids brush their teeth they can control fun and interactive mobile games via their toothbrushing movements and consequently get better at brushing. Lucanus is board member of Playbrush and actively involved in helping to grow the company. 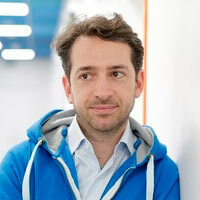 He is a partner at Speedinvest, a Venture Fund with EUR 160M under management. Prior to Speedinvest Lucanus was Managing Director of Whatchado.com. He has a background in Management Consulting and Private Equity and is a avid sailor.